Just when you thought you were done killing zombies, they give you...DUNE BUGGIES!! Today, Dying Light developer Techland finally confirmed that it’s working on a full-blown expansion pack for its surprisingly excellent zombie game. 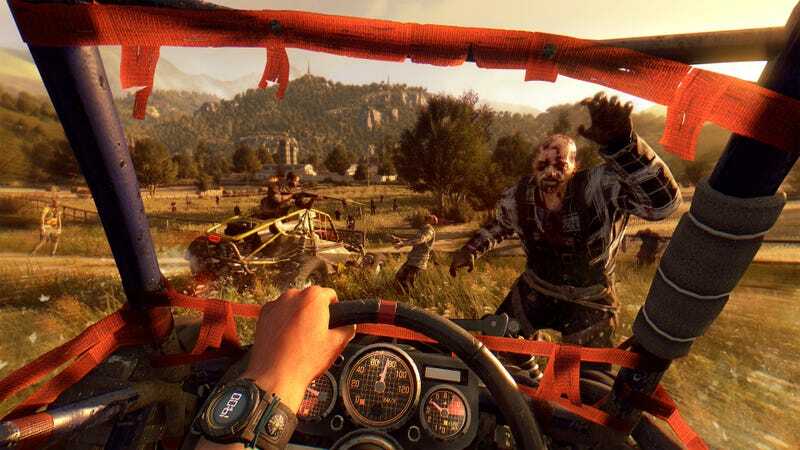 This comes after months of the developer teasing fans about how they were working on supporting Dying Light well into the future with meaty content drops—no doubt because the game was so well-received. It’s actually being referred to as an “expansion pack,” not just DLC. You will be able to drive dune buggies and, by the looks of the screenshot they provided, lean out the top of those same dune buggies to shoot at bad guys. That latter activity probably happens mostly in co-op. It will be available for purchase separately from the main game, but season pass holders will get it for free. Damn. I wish I knew more about it and could get my hands on the thing already. I didn’t let myself get excited about Dying Light, but after seeing how great it was, I can at least say that The Following sounds awesome.